Hearing is the first sense to be formed, just when we are three months. Its purpose is to transform sound waves from the external environment, and transforming them, in order to send them to the brain. It is there, in our brain, that the sounds will be codified and recognized. If we talk about sound waves, our mind immediately runs to music, the sweetest of melodies. But how many know that, in reality, music is physics: what we call musical note is a propagation of waves through the air. Music is also art: it has always accompanied our days and even our mood swings. How does it have a relaxing effect on our body or amplify our feelings of well-being / discomfort? 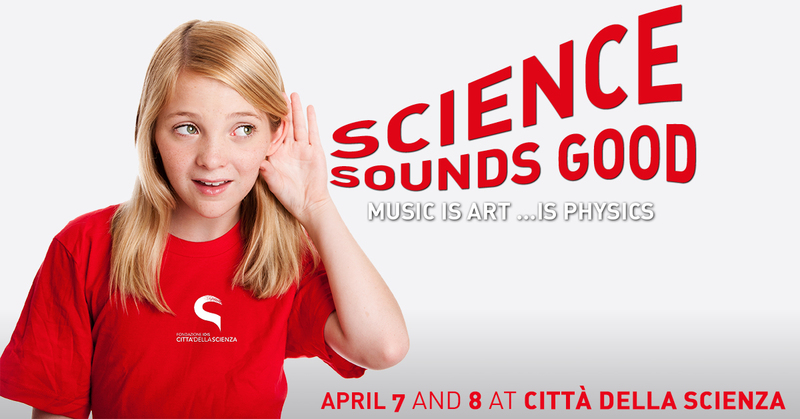 Workshops, demonstrations, scientific activities on this “melodious” theme wait for you in Città della Scienza! Special guest of this weekend dedicated to sound and hearing will be the National Association of deaf people, Section of Naples, at the presence of its president Elvira Sepe that through the workshop entitled “Me Deaf in a world of Sounds” and the workshop “Discovering the Language of Italian Signs” will take us on a journey into the world of deafness, between difficulty and potential. The aim of the workshop is to introduce a new perspective on Deafness, understood not only in a medical but in a cultural and linguistic key. For this reason, starting from the common and daily difficulties experienced by the Deaf, the existing potentials and possible solutions to realize reciprocal inclusion will also be presented. On the occasion of the weekend dedicated to the sound, we will also investigate the “colors” of the Sign Language, its richness but also the possibilities of our body to perceive rhythms and sounds not only through hearing, in an involving laboratory open to all. Are you passionate about electronic music? On Saturday April 7th, “Elements of electronic music” workshop waits for you! Unleash your creativity and try to compose a piece of electronic music using the “LIVE” software from Ableton. With Makey makey, however, you can transform, thanks to a nice kit, anything in a computer keyboard … this time the bananas become keys of a piano … Come and try this amazing laboratory! Did you know that creating musical tools with recycled materials sensitizes and empowers children, contributing to the development of their manual skills? In this way, the child, not only approaches music and socializes (playing) with his peers, but shakes off the passive attitude with which he usually sails in the tide of objects that surround him, to recover and develop fantasy, curiosity, creativity and spirit of observation. “tambur battente” is the green workshop for you! Using poor, natural and recovery materials it is possible to build a large number of musical instruments. In the laboratory “Pan flute” we will discover the physics that lies behind the whole of a straw, very simple instrument in appearance, which offers us to explore some fundamental things of the propagation of sound waves in the middle “air”. We will try to build a simple wind instruments made only with straws. What’s more fun to understand physics topics like sound waves through a series of engaging experiments? Watch the sound, watch the propagation in the water, experience the effects of the voice and the echo yourself and reveal the “crazy” scientist who is in the “Experimenting with the … sound!” activity. Our body? It is the first instrument producing sound … With “Body percussion” let’s discover the sound potential of our body and the characteristics of sound. A laboratory not to be missed! The exhibition dedicated to the sea can be visited again! Discover which new fish, molluscs and crustaceans live in our tanks follow the guided tour “Marine ecosystems”. During the visit, you will have the opportunity to touch some marine organisms in our Touch pool! And again, do not miss the insight “A journey through instrumental and biological sonar” for action the acidity of acoustics to the marine world. For the little ones, “Invent your marine animals”, a laboratory where you can color fish shapes, inventing new species, and then, as for “magic”, make them appear and swim in a large virtual aquarium. “The six-legged giants” have conquered almost all the habitats of our planet …. it’s time to start getting to know them better. Discover all the secrets that have made them so successful in a course divided into six thematic islands, one more engaging than the other! In addition to the visits they lead a Corporea, the first interactive museum on the Human Body in Italy, follow the “Sounds and Noises of the Body” study for this weekend. Sgrunf, ronf, crock, etc., Muttering, burping, pratt. they are the noises of our body, and probably we say so, if there is no voice, discover the cause and the meaning. Fun is guaranteed! The 3D “Robot Explorers” returns to great demand to travel together with a probe, lander and orbiter inside our solar system. We are waiting for you in many!